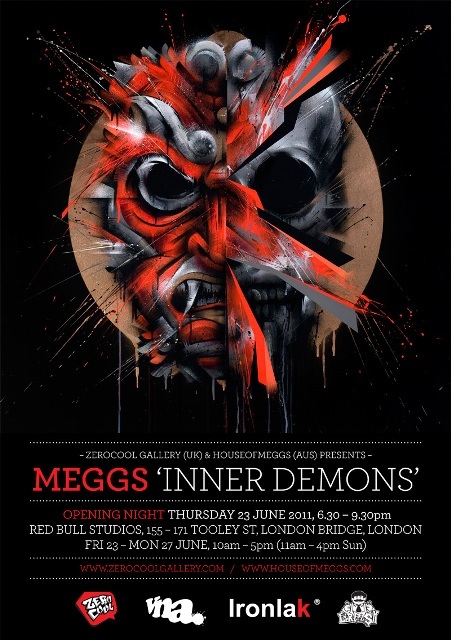 Opening on 23rd June, MEGGS makes the journey from Melbourne to London for his first solo show in the UK. Titled “Inner Demons”, Red Bull Studios are the hosts. You can read more over on the VNA site.